Due to committments in Conquest of Steel, located half a country away, Mills regrettably had to resign his position in Monsterworks. Drumming duties were initially taken up by Greek titan Sterghios A. Moschos but in the end the band moved forward with a young northern lad, James, ready for recordal of The Precautionary Principle. 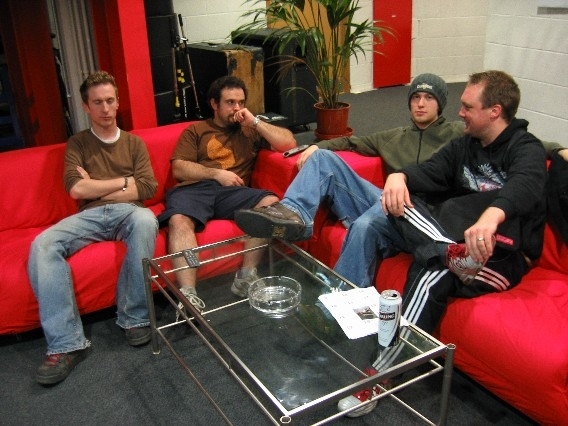 These sessions were the first at Earth Terminal Studios, Hampshire, helmed by Lewis Childs. 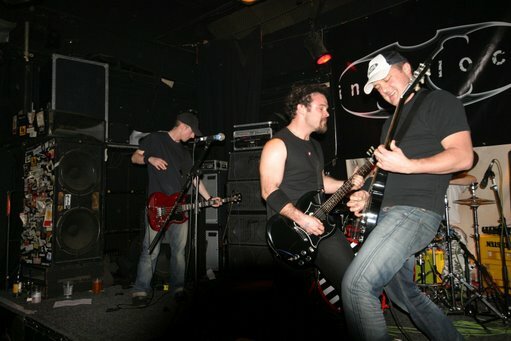 The Precautionary Principle pushed the boundaries further in every direction for the band. 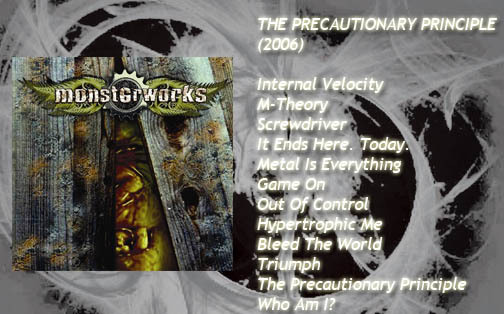 Progressive metal is a heavy influence but it also contains a few straight-ahead rock tracks like “Who Am I?” which was the subject of a first proper promo video directed by Aidan Wood.